It didn't matter what transpired on Day 1 of the Magic Millions National Broodmare Sale, Wylie Dalziel and the big group of owners who raced Catch A Fire had already got their money's worth. The daughter of Sebring raced 19 times, for three wins - one of which was the Group 2 Angus Armanasco Stakes - and five placings for $248,560 in stakes. Not bad results for a $40,000 purchase out of the same sale ring in January 2014. You can therefore imagine their delight when she was sold for $950,000 as part of the race fillies and mares section that kicked off the Gold Coast sale. "It's actually really nervous selling them and the expectation was there from Magics that she might bring between six and $800,000," Dalziel said. 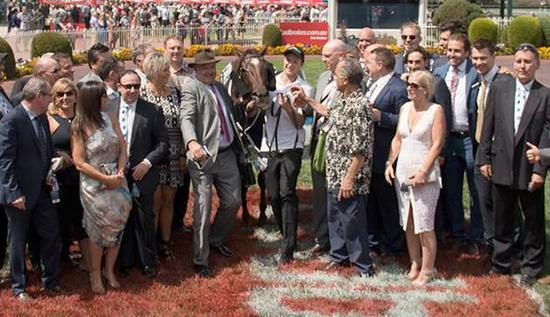 "At the end of the day, she was a $40,000 filly and she's won just under $250,000. She gave the owners, and a lot of them here today, a lot of thrills and they were all really excited. "When she opened at $400,000 and pushed through that $600, $700,000 barrier we were all rapt. It's very exciting." 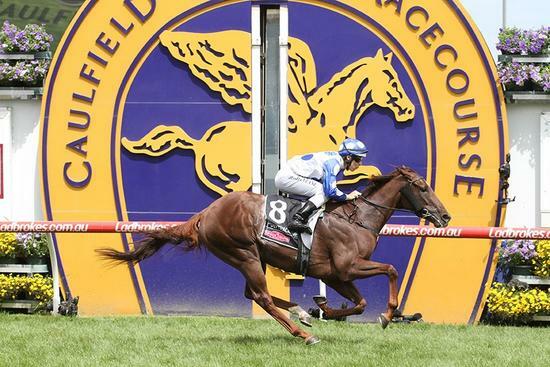 Catch A Fire, a four-year-old who is a sister to last year's Group 2 VRC Sires' Produce Stakes winner and Caulfield Guineas and Emirates Stakes runner-up Seaburge, was purchased by Stonestreet Farm. As sad as Dalziel was to see her career end, her owners now have plenty of ammunition to buy back into those about to embark on their racing career. "There's a good loyal bunch of owners there and they're all going to tip in and buy some more horses with us," Dalziel said. "That's the benefit of the fillies, if you can get some Black Type into them you know that residual's there through her racing career even if they lose a bit form. "You can bring them here, make some money for everyone and you haven't promised them that. You've just promised them a good time in a sport that's a lot of fun." The sale of Catch A Fire, who was Lot 674, was the start of a profitable period for Dalziel clients, who later saw Devious Maid, Lot 689, go through the ring. The sister to Golden Slipper placegetter Bring Me The Maid, who cost $110,000 at the same yearling sale as Catch A Fire and won a Balaklava maiden from 11 starts, sold for $340,000.